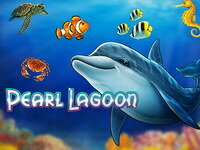 Pearl Lagoon is bubbly 5-reel, 20-line undersea slot game made by Play ‘n Go. It includes a wild symbol (the dolphin) and a scatter symbol (the clam). The wild symbol substitutes for any other reel symbol (except for the scatter symbol) to help comprise winning combinations. 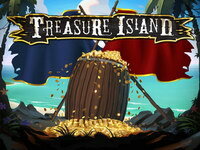 Pearl Lagoon is a 5-reel video slot. 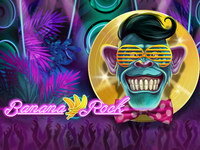 You can activate up to 20 lines and bet up to 5 coins/line. Lines must be activated in numerical order (1,2,3,4, etc.). 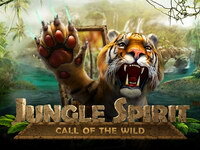 A winning combination that includes a wild symbol pays double the normal prize. Two or more scatter symbols anywhere on the reels constitute a win. 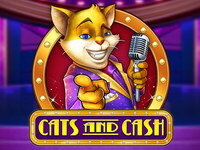 Three or more scatter symbols anywhere on the reels trigger the free spin feature; a sequence of free spins commences in which prizes for winning combinations are tripled. 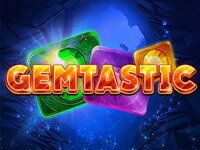 Winning combinations that include a wild symbol pay 6 times the normal prize. 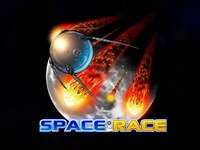 Free spins can be re-triggered up to a total of 60 free spins. You can attempt to multiply your prize in the optional Gamble round.